Home : Beauty : Nails : Happy Friday Color Riche surprise! How to win one of those? EASY! 1. 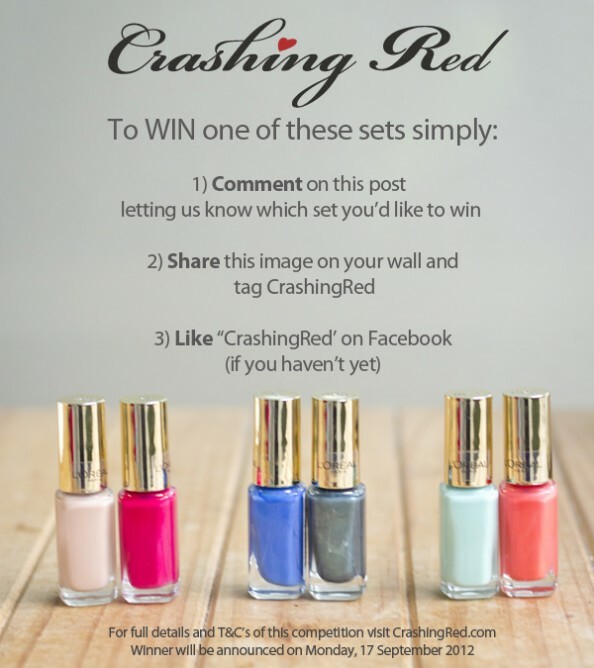 Head to CrashingRed’s Facebook page and comment under this image on which set you’d like to win. 2. Share this image on your Facebook wall, which is easy, just click the ‘Share’ button below the image. 3. ‘Like’ this image & our Facebook page if you haven’t yet. PS. See how beautiful these nail polishes can look – here and here! Terms & Conditions 1. ‘CrashingRed.com Giveaway: Win 1 of 3 L’Oreal Paris nail polish sets’ is open to Australian & NZ residents only. 2. To enter in this competition you must: a) comment on facebook on the post b) Share the image on your Facebook wall, c) Follow CrashingRed.com on Facebook and like this image on FB. 3. Winners will be chosen on the above criteria and will be identified via a random number generator. There will only be 3 winners. 4. You can only enter once. 5. Winner will be contacted via Twitter or Facebook. 8. Prize pack valued at AUS $80. 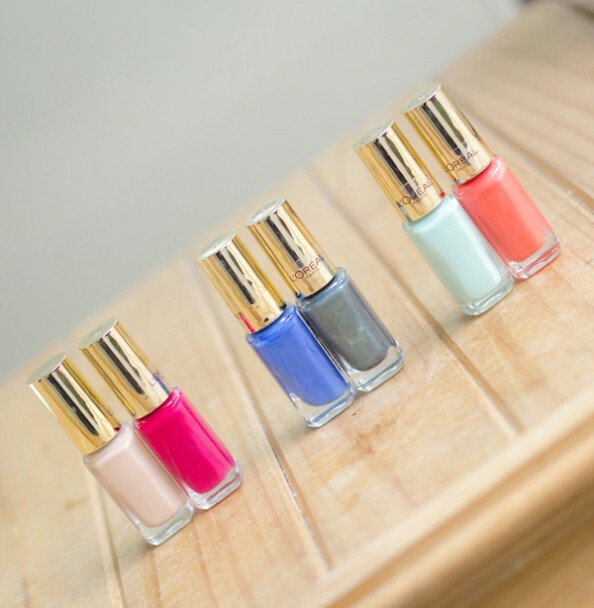 Hi, These polishes look so pretty. I can’t enter your giveaway seeing as I’m in NZ, would you mind naming the shades so I can search these out and buy them? Classy… classy and sylish is my style, so those colours could be perfect! They are gorgeous.